Best friends, from Chicago, that are more like sisters. We often joke that our friendship was predestined. Before the thought of us, the women that would be our mothers were connected. Our journey as friends started in kindergarten. Yea, you read that right. Kindergarten. Three of us attended elementary school together and after meeting the other two in high school our tribe was complete. Because we were really cool, super fashionable boy magnets (NOT) we deemed ourselves – The First Ladies. What were we The First Ladies of you ask? Who knows… But our bond as friends has grown tremendously over the years. Because of our friendship we understand the importance of sharing life stories with others. Besties and Brunch allows us to discuss the things we all encounter daily. We make every effort to share our real lives, real sisterhood, and authentic points of view with you as we do with each other. Pull up a seat to our brunch table. We have some food for the soul for you. Mommy Mogul. Career Woman. Goal Digger. Bona fide Bestie. (and working on adding the title of Successful Badass) who’s learning to balance it all with confidence, style, and what’s left of my sanity. Shaken But Not Stirred is sharing how I juggle my personal and professional life without losing myself in the process. My desire is that you leave with a little more knowledge and motivation to do the same. No matter how many things you take on or how crazy “having it all” can be, it’s important to remember to celebrate YOU! When I’m not fulfilling one of my many roles, I’m usually reading a book, exploring new restaurants, shopping (I’m a lover of all things girly!) or on social media. Follow me on Instagram, Twitter and Periscope @colorme_eboni and on Pinterest. Tell me what you do to keep balance in your life. We’re in this thing together! Laughter is the key to life. Along with great hair, a sense of style, delicious eats, full edges & your God given eyebrows. My friends and family call me Nikki. So, guess what? You gone call me Nikki. 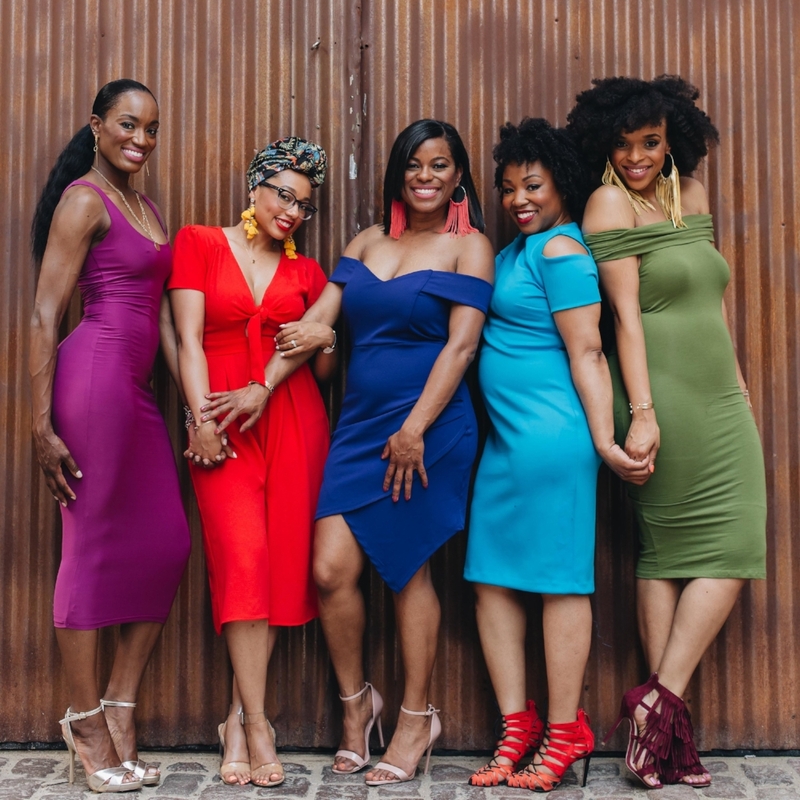 I love all things that make me feel yummy – good food, my family, a great pair of jeans, killer twist outs, a heart racing work out and, of course, my besties. When I’m not slaying these cruel streets, you can find me professionally talking folks off cliffs (literally and constantly). No artificial flavor is all about being your most vocal self and finding style that speaks. Dedicated daughter, friend, auntie, educator, and ‘round the way girl. At a place in life where it’s all starting to make sense. Realizing that this new place is where all the work begins. Open and willing to find everlasting love and a family of my own. Conquering my fears and accepting my awesomeness one day at a time. “The Sunny-Side Up” is about the pursuit to find happiness in every hour, in every moment. Recognizing and accepting life’s challenges, mistakes, and triumphs as that necessary step to reaching the fullest potential. To living each day, without apology or regret. And I’m all in! Join me in my quest! #TheSunnySidesWhatsUp. Find me on social media, and say hello! (@vecember on Instagram and Twitter). What’s your happy? Can’t wait to hear from you! Sitting in my great-grandmother’s basement hair salon as a kid, I experienced her sharing beauty with her clients... and it was like magic to me! This is what I share with each of my clients and hope to share with you! I believe beauty is not about covering up, it’s about enhancing what makes you, YOU! Beauty is therapy... and I’m the Doctor! Educating and customizing the best skin care and makeup regimen for each individual’s personal lifestyle is what she specialize in. Being a licensed Esthetician and in the makeup industry for over a decade has taught me a lot… and now it’s my turn to share a helping of all things beauty on this “Pretty Plate” with YOU! So you are probably asking yourself, “Who is this chick and why should I care about anything she has to say?” (That’s funny; I was thinking the same damn thing.) I’m Tahlee Mambia. Tahlee is pronounced “Tah-dee”, the “L” is pronounced as a “D”, it means “successful journey”. (And no, you cannot call me by my nickname until you can pronounce my real name!) This Liberian girl was born and raised on the south side Chicago by my American mother and Liberian father. My background is in P.R., special events and sales. Currently I reside in our nation’s capitol and loving every minute of it! So what will I talk about? The meaning of my name has become a reflection of my life. I’m constantly being told “Tahlee, you are always doing something or going someplace”. Whether it’s snowboarding in Aspen, my monthly ( okay weekly) happy hours, kicking it with the crew or just traveling for work; I’m always on the go. I will be sharing my journey with you, “my places, spaces and experiences”. In return I would love for you to share your adventures with me; as I am always looking for something to get into!